With the help of sales associate Shane Brown, Taylor and Kristin McPherson of Mission, BC are now the proud new owners of this Alpine White 2018 Toyota 4Runner. Thank you for your continued loyalty and enjoy your new 4Runner! Adam and Bethan Lane of Mission, BC came all the way to West Coast Toyota in Pitt Meadows because they heard about our great service and great pricing. After a bit of research and a conversation with salesperson Shane Brown, this happy couple decided to purchase a Magnetic Grey 2017 Toyota Tundra TRD Off-Road. Welcome to the West Coast Family enjoy your new Tundra! Kaitlyn Harmatuik of Mission, BC just bought a 2017 Toyota Tacoma TRD from her sales person Kalim Mohiuddin. This is Kaitlyn’s 2nd Tacoma, as she just traded a 2016 TRD that she bought in February of last year, Kaitlyn loves the Tacoma and her salesperson Kalim. Thank you for your continued loyalty Kaitlyn and enjoy your new truck! Linda just added another Toyota to their family. Hubby, Woodrow, drives a Tacoma. These Mission, BC, residents are first time West Coast Auto Group customers. 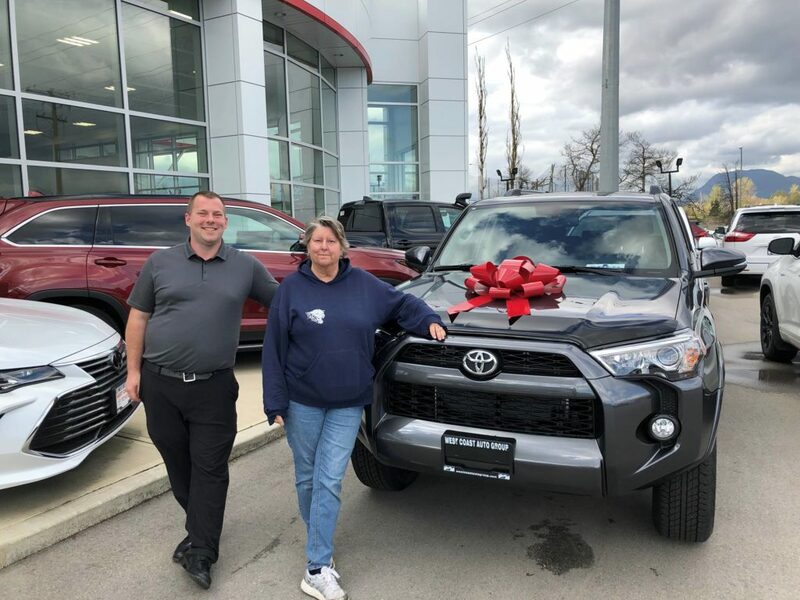 Linda loves her new fully loaded 2017 Toyota 4Runner from Kelly Heiling! 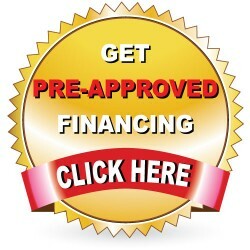 Her beloved 2003 Acura served her well and was towed away right after they drove their new ride off the lot! Congratulations Linda and welcome to our family. Andrew is Headed Back to Mission BC in a Tacoma! Andrew Fraser is the proud owner of a 2008 Toyota Tacoma purchased from Sales Associate, Kelly Heiling. He and his dad made the trek from Mission to find just the right truck for Andrew’s needs. Grant Wins Husband of the Year at West Coast Toyota! Dedicated husband Grant S. from Mission bought a brand new 2016 Toyota RAV4 for his spouse from sales person Kevin Young! Congratulations Grant, we hope your spouse loves it!